Married 28 years to Marguerite Fallon, DMD. Also Tufts School of Dental Medicine Graduate. Practices in both locations. Tufts School of Dental Medicine, DMD. Boston, Mass. Harvard School of Public Health, MPH, Boston, Mass. Fellowship Concentration in Health Policy and Public Health. Dental Internship, Part time, Brigham and Women’s Hospital. Harvard School of Dental Medicine, Dept. of Continuing Education. Boston, Mass. Certificate, Implantology 2 year part time program. 35-45 Continuing Education Hours in Dentistry per year. 1986; White House Fellowship, Selected Regional Finalist. 1984-1988; Health Care for Homeless Project, Part-time. Set up one of first dental programs in country for homeless people through Boston City Hospital. 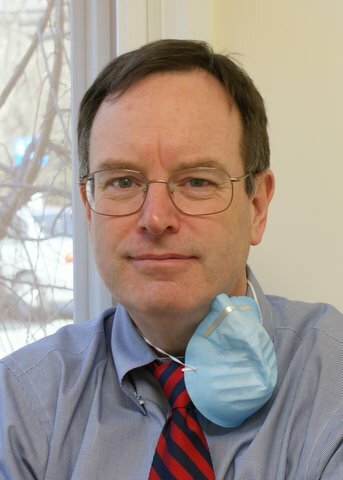 1983-1988; Dental Instructor, Part-time, Tufts School of Dental Medicine. Taught undergraduate dental students in Oral Pathology and Oral Diagnosis. 1989-Present; Private General Dental Practice, Dedham, Mass. 1993-Present; Private General Dental Practice, Weston, Mass. 2005 - Summer, Journal of Special Operations Medicine; "Balance Nail, prototype for SOF medic continuing education". Program of SOF medic continuing education run in Nepal. 2009-Fall. Journal of Special Operations Medicine; "Special Operations Dentistry" article on deployments to Afghanistan and Iraq and experiences over past 12 years training SF medics in dental procedures. 2004 - December, SOMA Annual Conference. Tampa Florida, Main program presentation. "Balance Nail, A Prototype For 18D Sustainment Training"
2005 - December, SOMA Conference, Tampa, Florida, Main program presentation. "SOF Medical Training in Nepal"
2006 - December, SOMA Conference, Tampa, Florida, Main program presentation. 2010-December, SOMA Conference, Tampa, Florida. "Dental Review for Special Operations Personnel"
President, SOMA 2009-2012. First reservist and first dentist ever elected to position. Colonel, Group Dentist, 19th Special Forces Group. National Guard unit based in Utah.